Phil as been on the Board of Directors since the new company was formed in 2016. Previously, Phil served as Chairman and CEO of Team Inc. Phil joined Team in 1998 and served as its CEO until his retirement in 2014, and retired as Chairman of the Board in 2017. Prior to joining Team, Phil was President and CEO of EOTT Energy Partners, a publicly traded MLP in the energy industry. 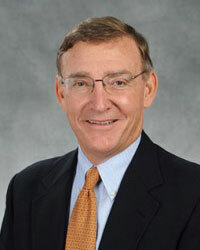 Phil also serves on the Board of Directors for the Houston Food Bank as the Vice Chairman. Phil earned a Bachelor of Science degree in Engineering and Public Policy Studies from Duke University in 1976 and an MBA from Harvard University in 1978. Phil and his wife Sara have three children and six grandchildren.